Skulls And Kisses | UK Lifestyle and Alternative Fashion Blog. : e-tailPR, ASOS and Marc B Competition. e-tailPR, ASOS and Marc B Competition. Seen as though I'm ill and off University, reading blogs and online window shopping, I thought I might as well have a go at a Blogger Competition and that is exactly what I'm doing! This competition is being hosted by e-tailPR, I recently joined their network just this week and thought I'd go in for the competition. I'm a sucker for competitions, I'm really competitive and this one was a great way to mentally buy things that I want/need! and make a collage of them. 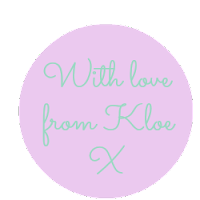 So this my first blogger competition, exciting stuff! and the prize is just a fantastic one! £75 to spend at Marc B and £175 to spend at ASOS, which amazing I have a billion things saved for later on there! All you had to do was create a outfit collage around one of the new season Marc B bags, it took me forever to choose a bag because for a start I love bags and the Marc B ones are just so nice. Anyway for my entry below I ended up choosing Jen, isn't she lovely? For the outfit you can only use ASOS, which is perfectly easy because they have so much choice! Let me explain my entry to you, first of all when I saw this bag I knew what it would be perfect for straight away. Gigs, festivals and days out, because lets face it for those types of days you want to carry tons of junk with you but have a stylish bag at the same time! I think that this bag is perfect for it, it would also be perfect for uni but at the moment I'm currently looking for items that are a must for download festival! For £55 I'd be a little worried to take the bag to a festival but then again I wear a pair of boots that were £100 so really I shouldn't mind haha. The outfit is one that would look fabulous with this bag at a music festival in the summer. I really like the colour black for a start, I was going to mix it up a bit with colour but that's not me so my entry is pretty much my dream outfit for Download this summer. After picking the bag I started my outfit off with the fantastic body by Freak of nature, I love how the sides are cut out, perfect for showing off my new tattoo! I bought a body from these guys the other day too I'm really digging their stuff at the moment. Next came bottoms, it took me forever to decide what to pick, I originally thought of shorts because I always wear shots to gigs and festivals but instead I decided on this lush maxi skirt, which is probably a better idea because when you wear shorts you start getting really cold when the sun goes down at least this skirt will keep you a bit warmer! To finish the outfit off it had to be a Leather Jacket, come on you're going to a rock/metal festival you need some leather in there! Finally to end the outfit these boots, I love Cowboy style boots, I have about 5 pairs! I love this pair, the gold trim just completes them and the heel will give me a bit of an advantage when trying to see over people taller than me! haha, although I'd probably get stuck if it rained as much as last year, I love these but at £85 they're a little out of my price range, lets hope Primark do a cheap version. Now no outfit is complete without Jewellery or Accessories right? Finally a few beauty products that would complete this look. When going to see bands I always have a ton of eyeliner on, I'm like a raccoon, its a sort of habit to be honest, this Bourjois Kohl looks like it would do the trick, I'm dying to buy one. I'm also thinking false eyelashes to complete the big dark eyes look. I think for download I will have to buy this Nails Inc kit, how fab do those nails look? I need it. And finally you have to have a bright red lipstick to complete any look in my opinion and Pixi lip balms/sticks are amazing! So this is my entry, I really enjoyed doing it, it took my mind off being ill. I think my outfit is pretty much perfect for a festival as long as its not chucking it down haha. Have you entered this competition? If so feel free to leave a link below, I love seeing people wishlists/collages. If you fancy having a go you can find all the details here. Your entry is awesome! I love how grungy it is (mine is so girly haha) The bag you've chose is sooo nice, I nearly chose it. Aww thanks, I love the dress on yours its so pretty and I almost choose the bag that you did! Haha.